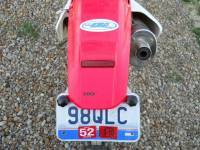 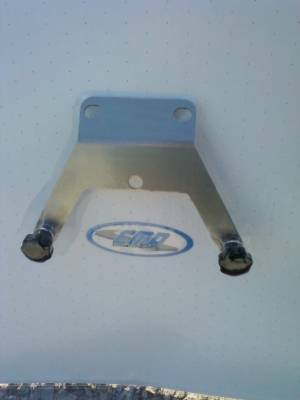 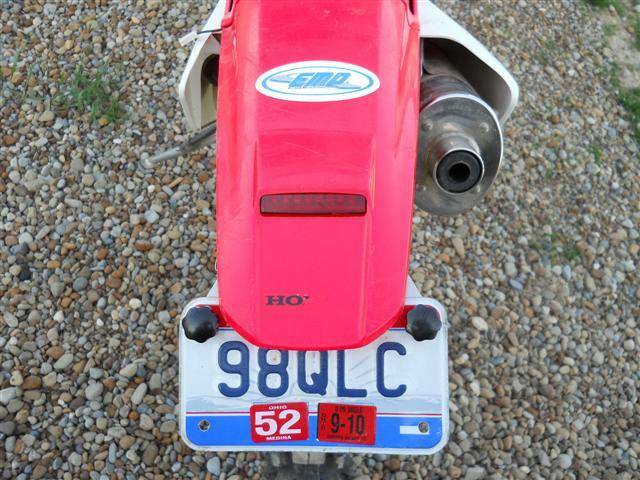 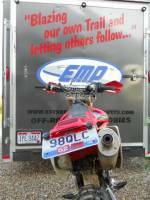 Easily mount a license plate to your CRF with this bracket. 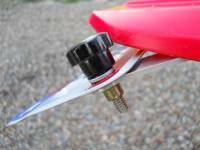 Mounts without any drilling or modifications. 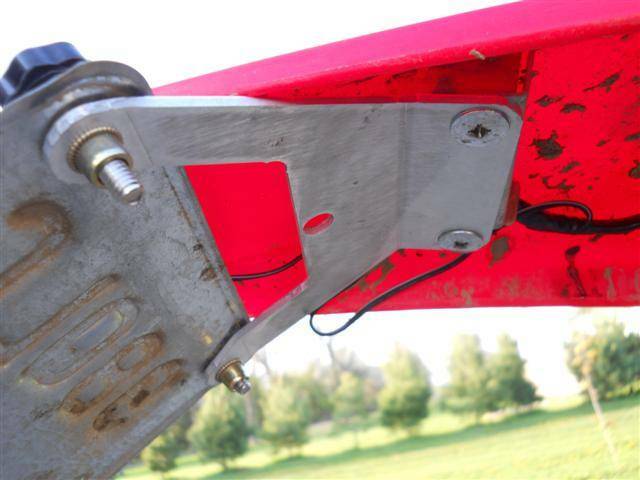 Simply remove the two screws under your fender and mount the bracket. 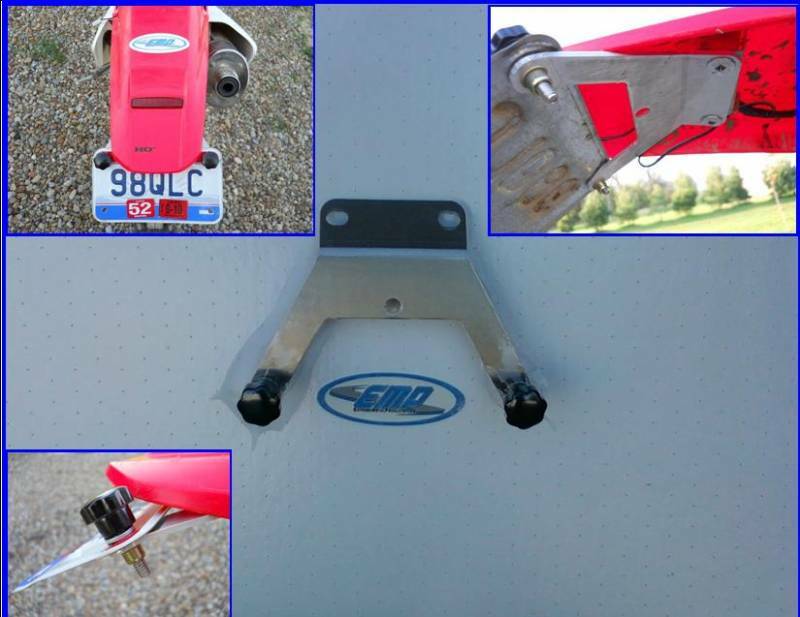 The thumbscrews allow you to easily remove your license plate when you get to the track or trails. CNC punched and formed for a great fit.